Page speed insight is a browser extension (Chrome and Firefox) which can be used to measure a website performance. It is an indispensable tool if you are managing a web site. 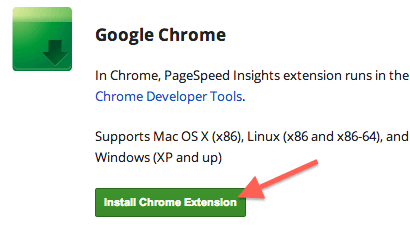 This article is a quick start guide to install and use PageSpeed insight plugin with Chrome browser. Click add on the confirmation dialog box. 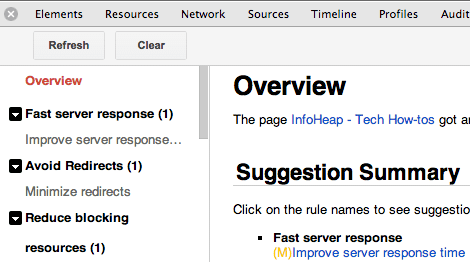 These are the quick steps to run PageSpeed insights on a page. Visit the site in Chrome browser for which you want to run pagespeed insights. 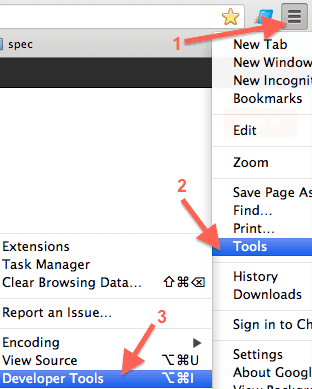 Open chrome developers tools by clicking on “customize and control Google Chrome” icon on top right corner of browser -> Tools > Developer Tools. The report is pretty detailed and has many section. It may take sometime to get a hang of various items in the report. Leverage browser caching by appropriate headers. For apache look at mode_expires module. Enable compression. For apache, this is handled by installing module mod_deflate. Page speed can also be run online. That way you don’t have to install anything. Page speed insight can also be used as firefox extension.